The Clean Clothes Campaign is celebrating this week as its quest to raise funds for victims of the Rana Plaza factory collapse in Bangladesh has come to fruition. Since the tragedy happened in April of 2013, the campaign has advocated to raise funds for lost wages for injured workers and to help families of those who died in the collapse. With the help of one million consumer advocators worldwide, the campaign has reached its $30 million goal to help these workers. In January of 2014, The Rana PlazaDonors Trust Fund was set up by the International Labour Organiztion, and supported by many smaller campaigns. The Clean Clothes Campaign attributes much of its success to the incredible grass roots interest from consumers around the world. Over the past year and a half, consumers have globally pushed big brands and retailers who sourced clothing from the collapsed sweat shop building to give due diligence, and contribute to the fund. The $30 million goal was the estimated cost to support the 5,000 employees and families who worked at one of the five factories housed in the unsafe building. The fund was slowly building donations, with a recent $1.1million contribution from Benetton. Yet the fund was still $2.4 million short until a recent anonymous donation to the fund. 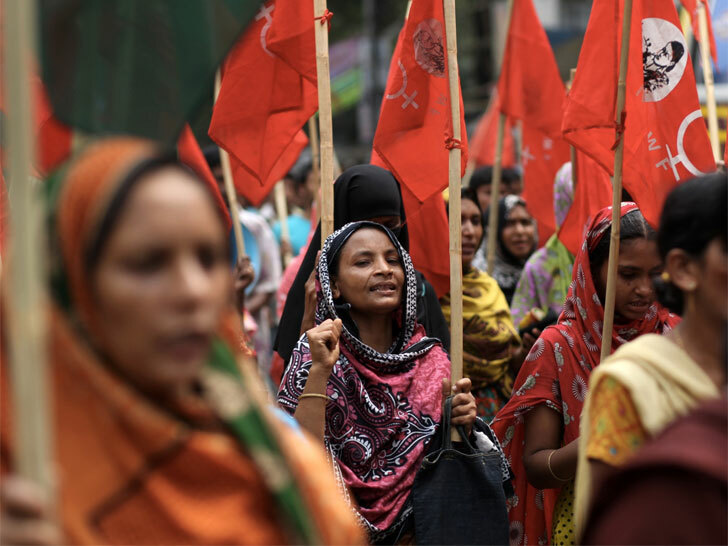 The Clean Clothes Campaign will continue to support victims of the Rana Plaza, and push for policy changes to ensure safety conditions, as well as quicken the aid process to victims.